 The Kiddush Lunch has become a vital part of Chabad of Greater Dayton. It is a special time every week that helps us to create friendships, community and the warm shul atmosphere in which we take great pride. May the merit of sponsoring this beautiful event bring you and yours all the blessings of nachas, happiness and much success in all your endeavors. Below are some of the tailored packages. If you would like to sponsor one of the weekly Shabbat kiddushes for the regular minyan crowd (40 people), the cost is $250 for our basic menu of challah rolls, kiddush wine, gefilte fish, 4 assorted salads, fleishig cholent, vegetarian cholent, kugel, fruits and dessert, all prepared by our wonderful kiddush committee. If you plan on inviting more people, the cost is $5 per additional person. For additional desserts please order from All Occasions Sweets. Thank you to the Chesed Committee for preparing the Kiddush. Please click here to see if available.